What your property’s first impression say about your business? Does it reflect professionalism and reliability — or does it fail to do your company justice? 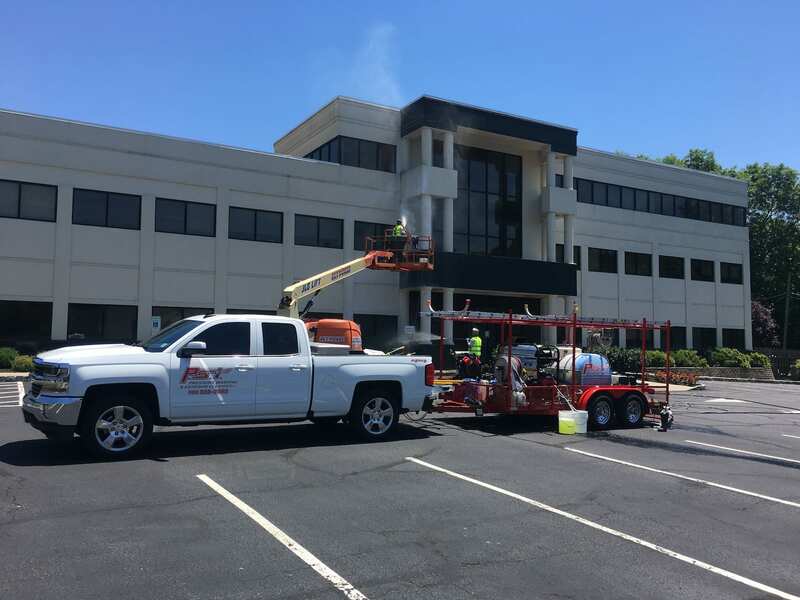 PSI Pressure Washing offers commercial building washing services that invest in the exceptional first impression of your property. 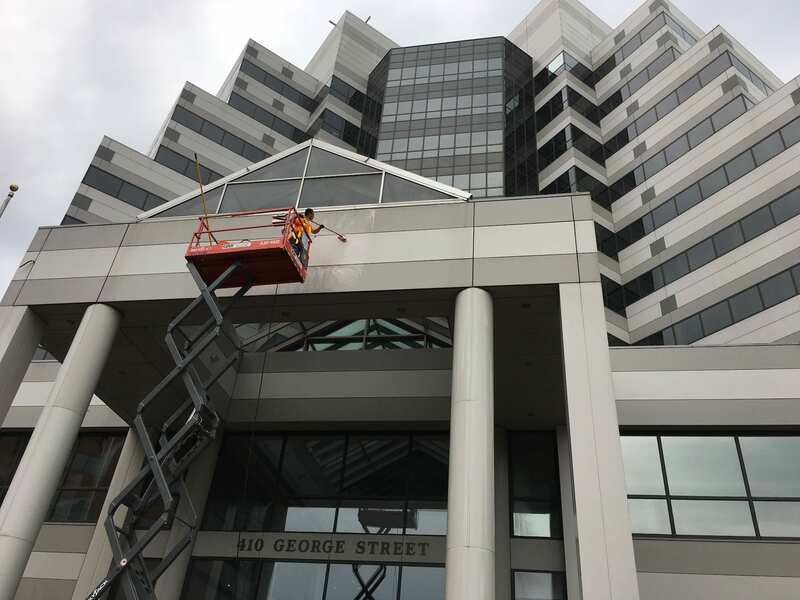 A clean, well-maintained building exterior speaks volumes about the business that you run. But an unkempt one fails to have the same effect. Unfortunately, when your property is juggling customers, employees, year-end goals, and day to day tasks, property maintenance can take a backseat. And when it isn’t a priority, it isn’t just the quality of your building that suffers: Your reputation does, too. Businesses in New Jersey are dealing with mold, mildew, algae, and other issues that constantly compromise curb appeal. These green and black stains bring down your exterior and your property as a whole. If you don’t choose the right property maintenance company, your service might be more of an inconvenience than a benefit. 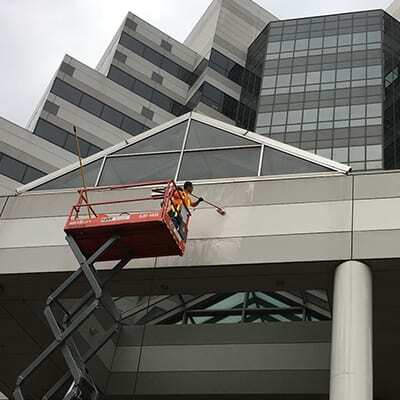 PSI Pressure Washing is proud to bring customers the level of professionalism they deserve to get a complete commercial building washing solution. PSI Pressure Washing delivers the new standard in exterior cleaning solutions. We offer property owners and managers the alternative to high pressure washing. Many of our customers ask why we don’t pressure wash their exterior. The answer is simple: It delivers more disadvantages than it does benefits. Typical pressure washing cracks your siding, ruins your landscaping, and can even capture moisture in your exterior, which leads to mold infestation down the line. Our alternative is soft washing. We use hot water, high volume equipment to restore your exterior to that ‘like new’ aesthetic. With the best soft washing equipment and techniques to guide us, PSI Pressure Washing is proud to bring out the very best in your business. PSI Pressure Washing is proud to be your local experts in commercial solutions. We serve Warren, Somerset, Hunterdon, Mercer, Morris, Union, and Middlesex County with services that strive for excellence. We prioritize quality workmanship that preserves the exceptional quality of your business exterior. With years of on-the-job expertise and continuous professional development, our team is proud to deliver the highest level of service to your property. With services that fit your budget and superior cleaners and equipment, PSI Pressure Washing ensures that your business will always look its best… And will hold that quality for the long term. Curb appeal speaks volumes, and our service is designed to capitalize on the positive first impression and long-term quality of your property. We always use the latest technology – hot water, low pressure washing – to ensure that your exterior is always primed for the very best in quality. 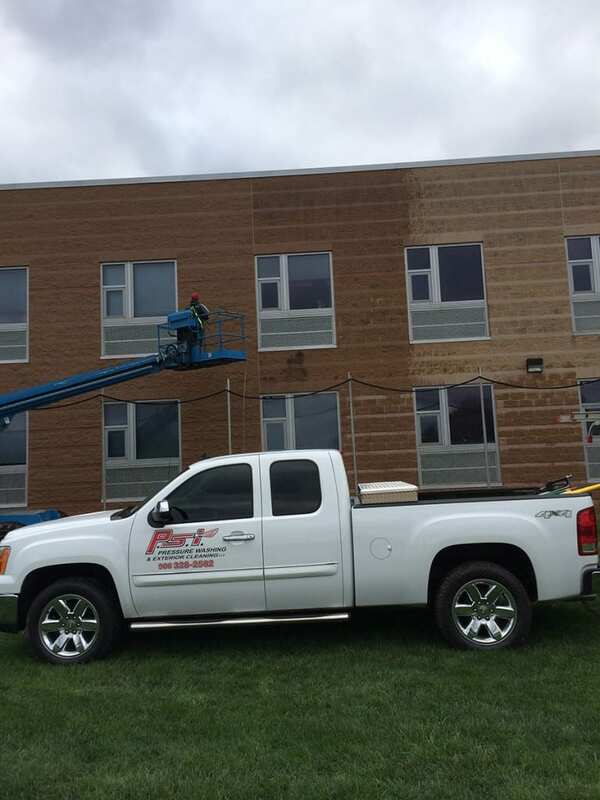 When you trust PSI Pressure Washing for your next commercial building washing service, you aren’t just getting property maintenance. You’re getting years of expertise that you can tap into to help your business succeed. P.S.I. Pressure Washing Offers Free Demos on Commercial Properties!